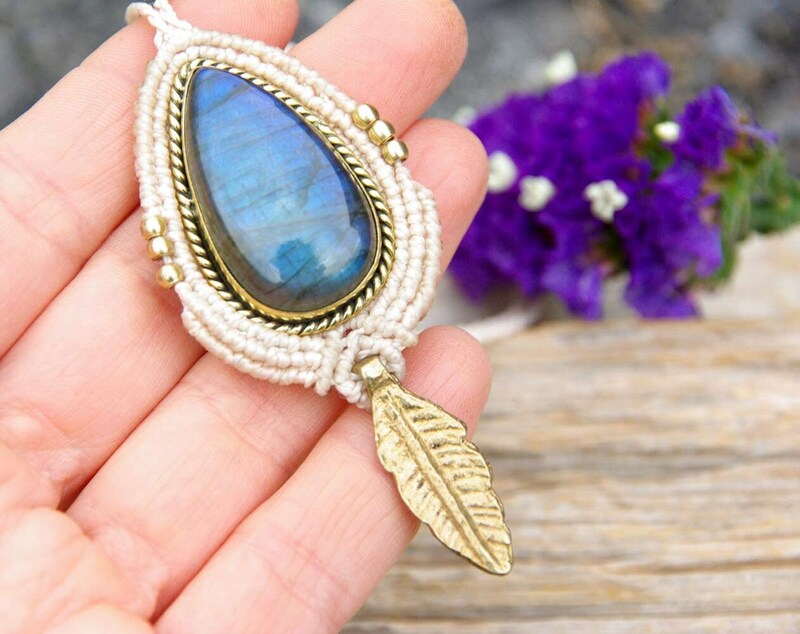 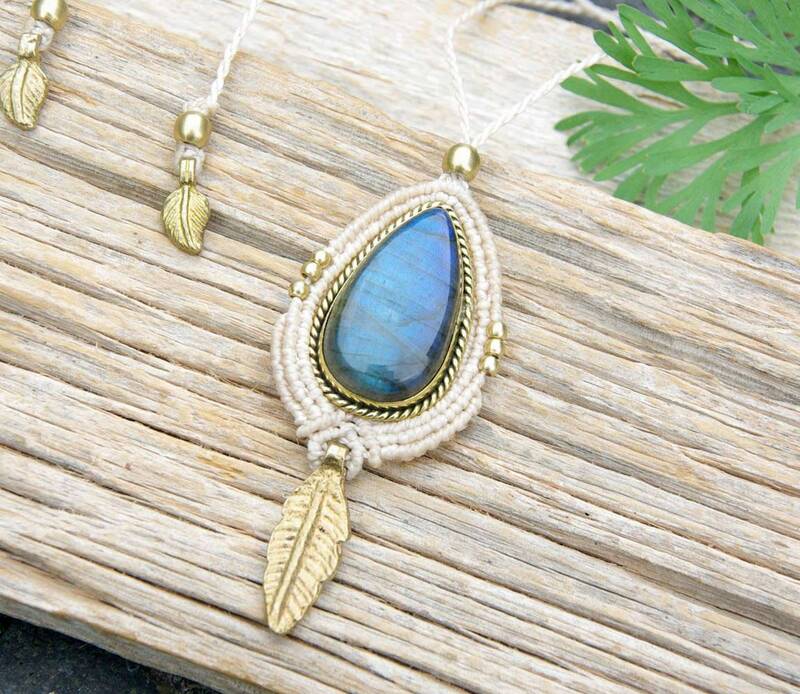 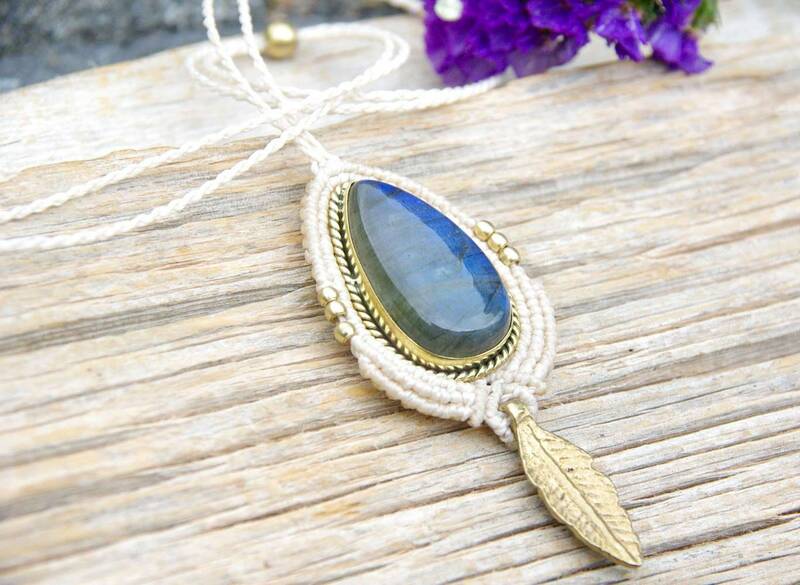 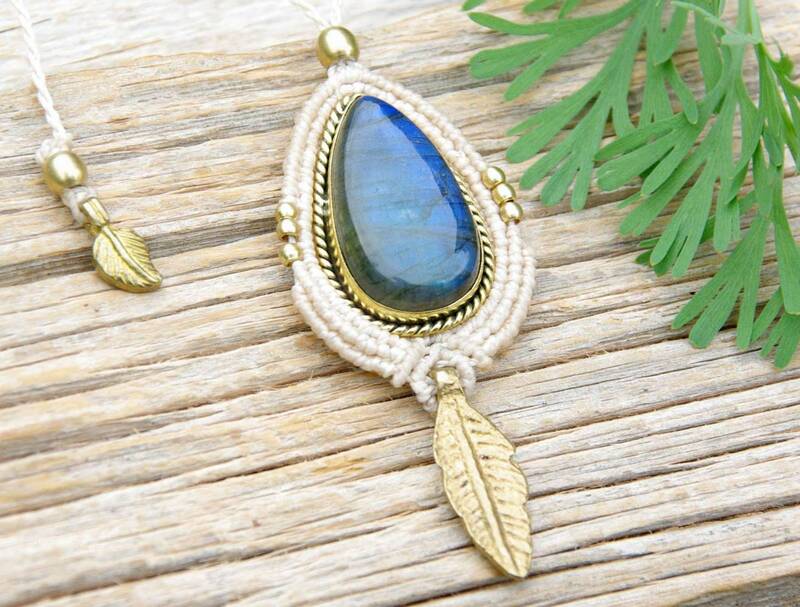 Beautiful pendant with LABRADORITE stone and brass feather, in beige thread. 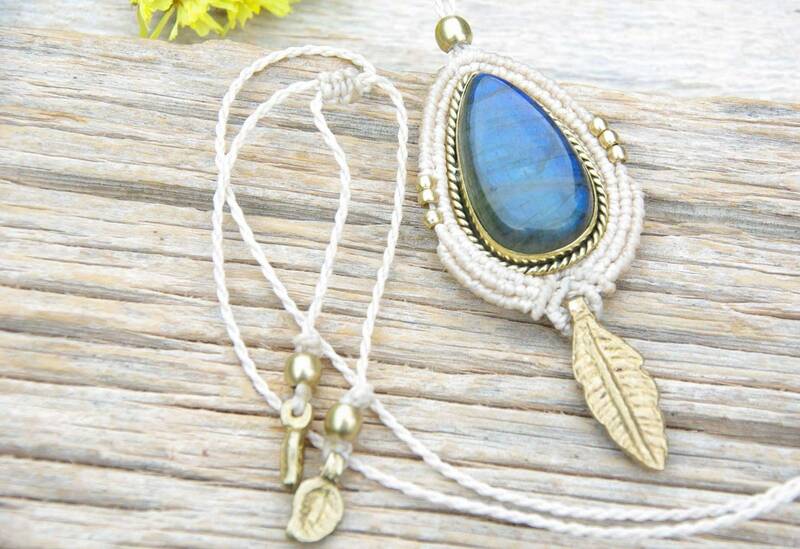 The pendant is adjustable in height since it has a sliding knot as a closure. 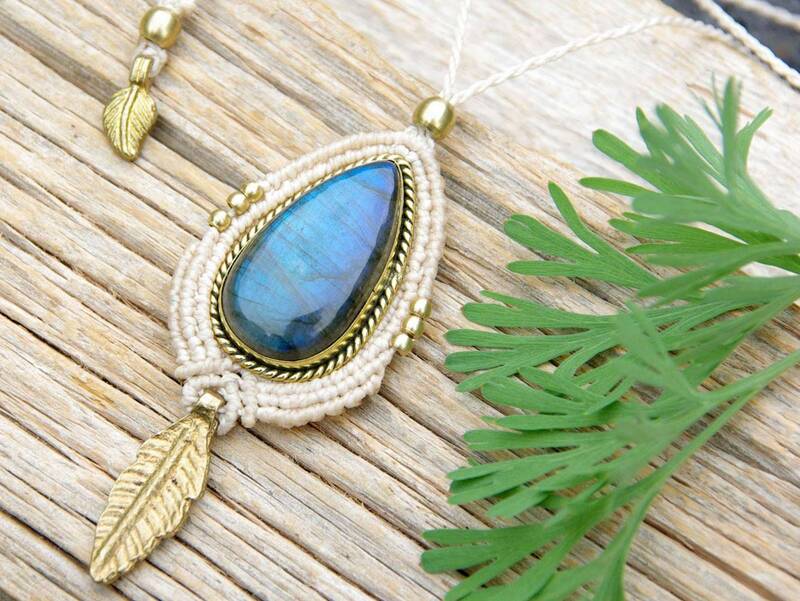 All metal accessories are made of brass; This is an alloy it´s nickel free and can water resistent. 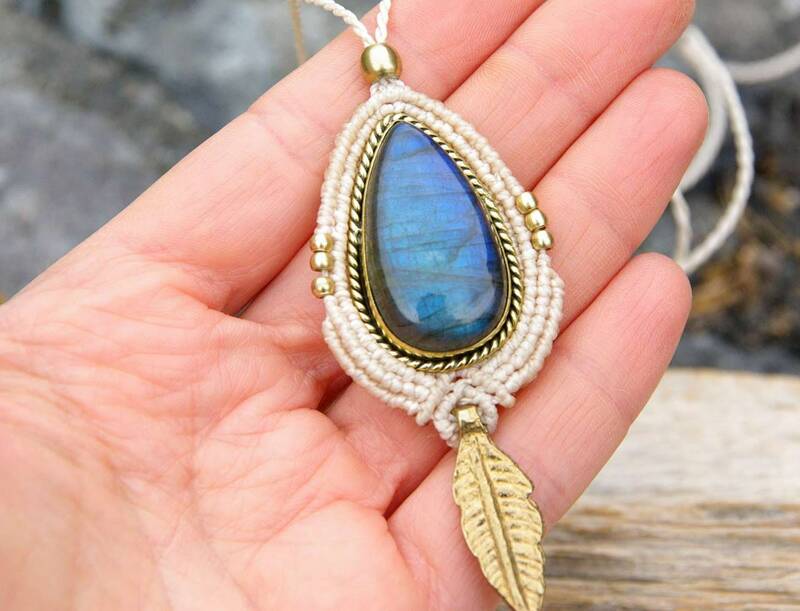 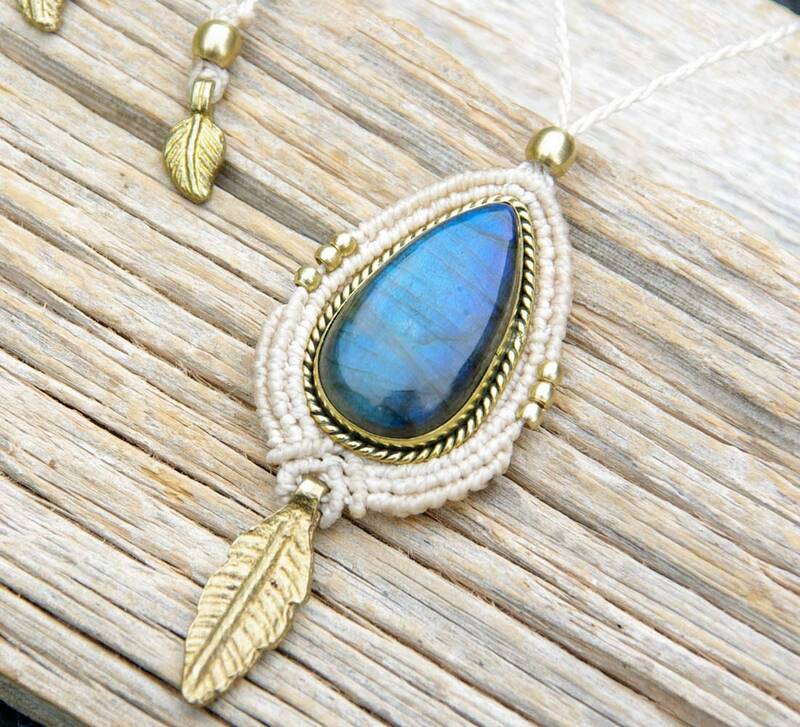 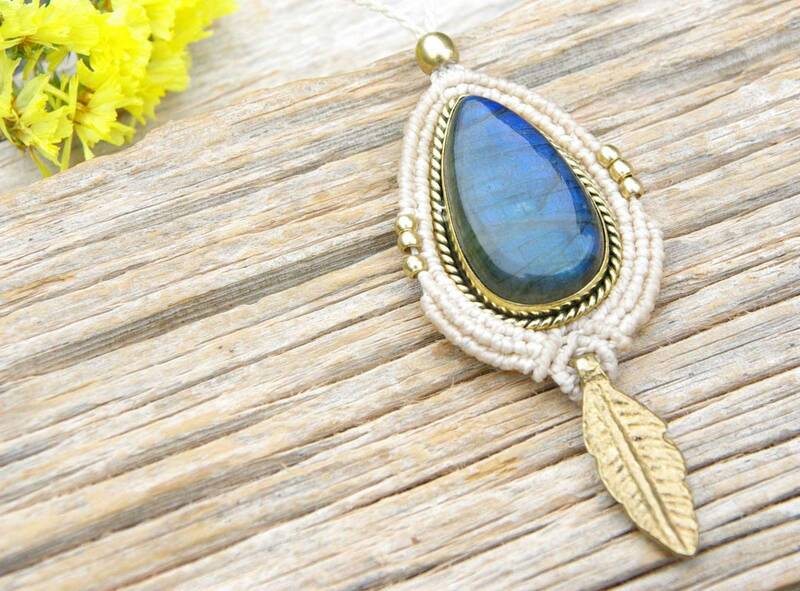 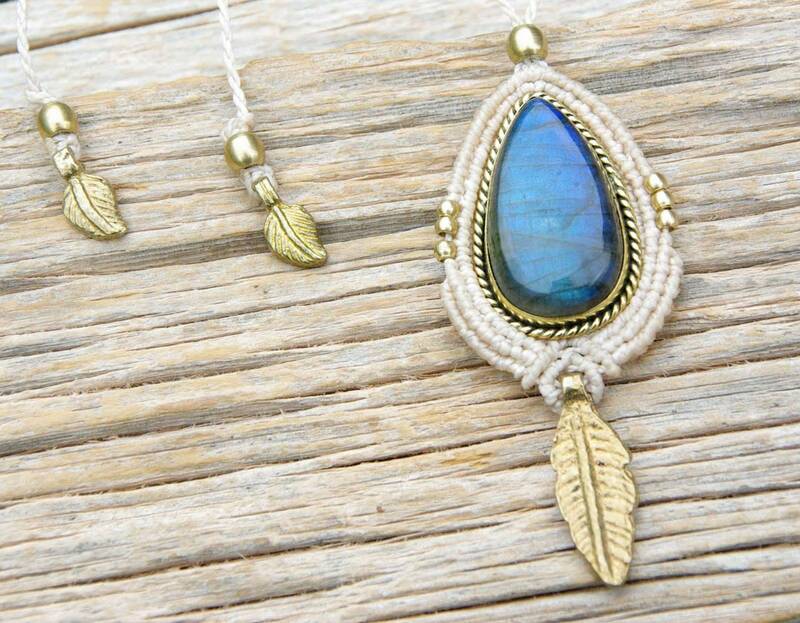 The pendant is made with Brazilian quality waxed thread.